The following article was published in January, 2018 on the vivacare website by Dr. Shabita Teja - Naturopath & Pharmacist. I have high blood pressure and came across the supplement, Salv-Tonic. Should I take this supplement and what benefits will I obtain by adding this to my health regimen? High blood pressure (HBP) also known as hypertension is when your blood pressure, the force of your blood pushing against the walls of your blood vessels is consistently too high. The primary way that HBP causes harm is by increasing the workload of your heart and blood vessels which means they work harder with less efficiency. It’s over time that the force & friction of HBP damages the delicate tissues inside your blood vessels (specifically your arteries). What happens then is the LDL or “bad cholesterol” form plaques inside the tiny tears along your arteries which signals the start of atherosclerosis. The more plaque build up you have inside your arteries, the narrower the inside of your arteries become leading to increased blood pressure & a vicious cycle that causes further harm to your heart & the rest of your body which ultimately leads to other cardiovascular diseases. 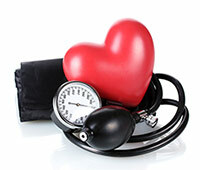 These cardiovascular diseases (CVD) refer to a group of disorders related to the blood vessels and/or the heart. Major CVDs include heart attack (also known as myocardial infarction, or MI), stroke, ischemic heart disease, atrial fibrillation, aortic aneurysm and cardiomyopathy, to name a few. In 2012 and 2013, 17.3 million deaths worldwide resulted from CVDs but it is estimated that 90% of CVDs are preventable. There have been a number of risk factors, some modifiable and some non-modifiable, identified as increasing your chances of getting one of these CVDs. These include age, smoking, physical inactivity, unhealthy diet, obesity, family history, hypertension, Type 2 diabetes, and high cholesterol. As you can imagine, the non-modifiable risk factors, meaning those that you cannot control, include age and family history; however, there are a number of modifiable risk factors, also known as, risk factors that people can control and change including physical inactivity, unhealthy diet, high blood pressure, high cholesterol and obesity. When these risk factors decrease, the number of CVDs improve. 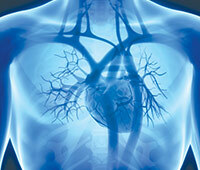 The development of CVD is complex & involves the interplay of various factors. For example, increased inflammation, oxidative stress (meaning an increase in the number of free radicals or reactive oxygen species, ROS) & endothelial dysfunction are a few of the factors that play a pivotal role in impairment leading to dysfunction & eventual development of CVDs. These ROS are highly reactive with the human body in the form of proteins, lipids & DNA & cause damage to these components of the body. SalvTonic is a herbal supplement containing two Traditional Chinese Medicine (TCM) herbs. The first is Dan Shen (Salvia Miltiorrhiza) root extract and the other is Sanqi (Panax Notoginseng) root extract. Qi denotes a dynamic essence that promotes the functions of our organs and tissues; therefore, if it is deficient or exhausted due to chronic disease, than various pathological changes may occur such as Qi deficiency. The Zang Fu organs represent more than just their anatomical substances (eg Heart, Liver, Lung, Stomach, etc). They’re classified by the different features of their functions. For example, the five Zang organs store up Qi and regulate its outflow while the six fu organs transform & transport vital substances. According to the Yin-Yang theory, everything in the universe can be divided into the two opposite but complementary aspects. The basic cause of disease in TCM is an imbalance between Yin & Yang, with the goal of treatment aimed at restoring a healthy balance once again in the patient. In TCM, Dan Shen also known as Red Sage, a bitter & slightly cool herb is regarded as one of the most important herbs for the treatment of CVD. 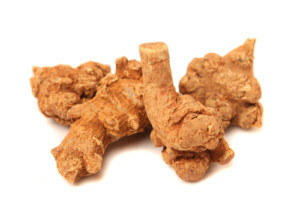 The constituents or active ingredients of this herb include Dan Shen Su which is an active phenolic acid in the dried root, salvianolic acid A and salvianolic acid B. These active ingredients had protective effects against NSAID-induced ulcer formation. Salvianolic acid A has clot busting activities which are related to its antiplatelet action. With its affinity for the TCM organs of the Heart, Pericardium & Liver, this herb is used to invigorate blood and move blood stagnation. In addition, it has been used to clear Heat in the blood & Heart. By activating circulation, it is effective against TCM conditions of blood stagnation or stasis. Dan Shen is highly effective as an antioxidant scavenging free radicals such as superoxide dismutase (SOD). It also works to inhibit the oxidation of the characteristically known, “bad cholesterol” or LDL which play a key role in the development of plaque in the arteries, or atherosclerosis. The cardiovascular protection of salvianolic acids is not only limited by their role as antioxidants, as they also indirectly regulate immune function. Dan Shen is found to inhibit white blood cell adhesion, peroxide production and leakage of albumin through the vessel wall. 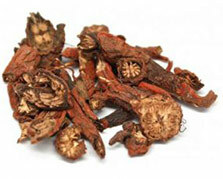 The second herb in SalvTonic is Sanqi also known as Panax Notoginseng. Notoginseng also inhibits white blood cell adhesion and degranulation of mast cells. The root extracts of Sanqi are typically dug in the spring or winter; however, the spring roots have a stronger pharmacological effect than the winter roots. The properties of the herb include sweet, bitter & warm & it has an affinity for the TCM organs of Liver, Stomach & Large Intestine. Individually, the herb works to stop bleeding & release stagnation as well as invigorate blood circulation & stop pain. It also nourishes the Blood & calm the Mind. The combination of Dan Shen & Sanqi found in SalvTonic work synergistically on many inflammatory pathways to decrease inflammation in the treatment of CVD. Specifically studied in animals, were the combination of constituents, salvianolic acid B from Dan Shen and ginsenoside Rg1 from Panax notoginseng which improved heart rate contractility in those with documented myocardial infarction. SalvTonic helps to invigorate blood & thus improve blood stasis as well as alleviate pain in the chest due to stagnation of qi & blood flow. 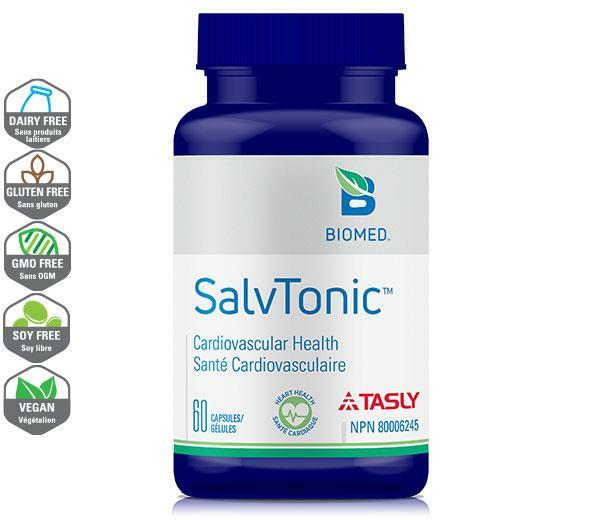 In short, SalvTonic’s herbal cardiovascular microcirculation formula provides multi target protection for your heart & blood vessels. It works on specific pathways to improve circulation & blood flow, reduce plaque formation, lower total cholesterol & improve risk of thrombosis, all of which contribute to CVDs including angina, MI & stroke. In essence, SalvTonic can also reduce the complications associated with angina and diabetes. The recommended adult dosage of SalvTonic is one capsule taken orally, three times a day. In the event of an acute episode of angina, it is recommended to open up 1-2 capsules & pour directly under the tongue allowing for faster drug absorption & thus quicker onset of action. Those who should not use Dan Shen specifically, include patients who are pregnant, Yin deficient, dealing with post partum bleeding, hemoptysis or hematuria. Always check with your doctor and/or pharmacist before trying any new supplement, herb, over the counter (OTC) or prescription medication to ensure that it is necessary, safe & effective for you to take. In addition, always advise your doctor and/or pharmacist before making any changes to your health or drug regimen to ensure that there are no interactions to the medications or supplements you are taking. For more information about SalvTonic, download a patient handout from Biomed International. Rongrong, W., Li, D., Guangqing, Z., Xiaoyin, C., & Kun, B. (2016). The Effects of Iontophoretic Injections of Salvia miltiorrhiza on the Maturation of the Arteriovenous Fistula: A Randomized, Controlled Trial. Alternative Therapies In Health And Medicine, 22(5), 18-22. Zou, C., Lu, F., Mao, W., & Liu, X. (2012). Chinese Herbal Medicine Danshen Formulations for Preventing Renal Disease in Henoch-Schönlein Purpura: A Systematic Review and Meta-Analysis. Journal Of Alternative & Complementary Medicine, 18(4), 394-401.